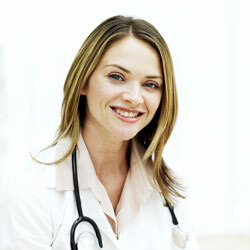 Are Online Medical Transcription Courses a Good Bet? Everything you should know about online medical transcription courses before you pay for a program. Online learning venues have become an increasingly popular educational method around the world. Online medical transcription courses are certainly a good bet, but it's also extremely important to follow a few simple steps to make sure that your time and money are well spent. There'll always be a demand for traditional brick-and-mortar colleges and universities. But online learning opportunities that bring the classroom to you are also extremely valuable and beneficial. A mere two decades ago, nontraditional approaches to educational venues gave "distance learning" a bad rap. Call it what you will (distance learning or correspondence schools), a great majority of "academia" considered online, distance or correspondence school type educational approaches less than reputable. Today, things have changed. Millions of people around the world access online educational opportunities to receive Associates, bachelors and Masters Degrees. Will online curriculum be as thorough as that offered at a traditional campus? Can I actually benefit from taking an online medical transcription course? Is it more difficult to take an online course rather than attend a campus for classes? The downside to online learning methods is that they're not suited to everyone. If you're an independent and focused learner, you should have no trouble with an online approach. Those who are able to self-direct and motivate themselves while taking an online medical transcription course will fare much better than procrastinators or those who find it difficult to master Internet technology. Really, the only difference between traditional campus learning environments and online learning venues is a lack of personal interaction with students, teachers and counselors. The most important thing to remember when looking for an online medical transcription course is to ensure industry associations in your country of origin accredit that coursework. For example, in the United States, the Association for Healthcare Documentation or AHDI (formerly the American Association for Medical Transcription) must accredit a medical transcription school. Doctors, clinics, and hospitals want to know that your education and medical transcription adheres to guidelines standardized by professional industry associations and organizations. The first thing is to determine the accrediting association, organization, or society in your locality. This ensures that your coursework meets state or national guidelines in regard to content development, scope, and standards. Do instructors have experience practicing medical transcription? How long has the school been in business? Does the school offer advanced or extensive computer training? Does the school teach styles, standards and guidelines preferred by medical transcription associations, societies, or organizations in your country of origin? How much do a Medical transcription courses cost? The cost depends on where you take the courses. Often, medical transcription schools accredited by medical transcription associations offer payment plans or financial assistance for students. Tuition costs for a complete course in medical transcription averages between $600 and $2,600, depending on whether you're looking for certification or a degree. Costs may be higher or lower, depending on your geographical location. The amount of time it takes to get through an online medical transcription course depends on your dedication and speed. Some online medical transcription schools require a minimum or maximum recommended timeframe per course that may range between three to six weeks or three to six months per class. A focused student can get through a medical transcription certification course in as few as 12 to 16 weeks. However, students must also be able to pass tests and exams in order to receive their certificate. Coursework for certification or degrees are typically similar, although degree programs offer more in-depth and thorough study of topics including healthcare related vocabulary, medical terminology ( most courses outline all body systems, including musculoskeletal, endocrine, reproductive, cardiovascular, respiratory, and digestive) as well as thorough instruction in different types of medical reports. Coursework, either traditional or online, requires you to practice dozens, sometimes hundreds of dictated medical reports for grading and assessment by course instructors. To take a medical transcription course online, you'll need, in most cases, a Windows-based computer running windows XP or later and a high-speed internet connection. Most medical transcription certification or degree programs provide medical transcription software and hardware required by that school for completion of coursework. Is an online medical transcription course is a good bet? Yes! However, it's up to you to focus on your coursework and get the most out of your online learning environment. To succeed with your online medical transcription content, you must be dedicated, proactive, and capable of self-directing yourself. If you can do that, you can certainly succeed with an online medical transcription certification or degree program. Think online learning might not be for you? Have a look at this guide to traditional colleges, which includes some recommendations of places to study.